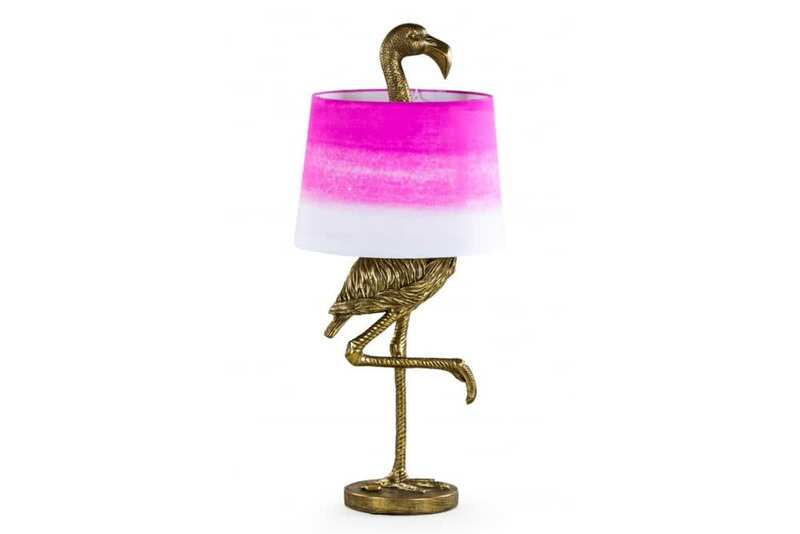 Light up your interior with this spectacular flamingo table lamp. In a rich antique gold the table lamp comes in the shape of a flamingo standing tall, around the neck of the flamingo sits a bright pink and white ombre lampshade. Sue Parkinson in Broadway, United Kingdom.